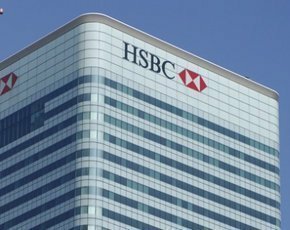 HSBC has appointed Darryl West, who left Barclays in December, as CIO. West left his previous role as CIO of Lloyds Banking Group to take over a similar role at Barclays in November 2013. He was group CIO and deputy chief operations and technology officer when he left Barclays. West also has IT and business management experience from roles at JP Morgan Chase, Accenture and National Australia Group Europe. He will be based in London and report to HSBC Group COO Andy Maguire. At Barclays, West recently got a new boss. In May last year Barclays named Michael Harte as their IT chief. He replaced global chief operations and technology officer, Shaygan Kheradpir, who left to become CEO at Juniper Networks. Kheradpir subsequently resigned from Juniper Networks in November. West became interim chief operations and technology officer when Kheradpir left but in May Harte took over the role. Harte joined from Commonwealth Bank of Australia (CBA), where he was responsible for operations and technology since 2006. Barclays Bank also recently appointed Jonathan Moulds as group chief operating officer (COO) to lead it through transformations, including major IT investments. The changes in senior IT roles are not surprising given the opportunities and challenges. CIOs with the right skills are in high demand given the IT transformations that are taking place at banks. Retail banks are in a period of IT transformation. While new technologies like cloud computing and automation software are streamlining internal operations, customer services are being transformed by IT. In November 2013 Barclays announced plans to cut 1,700 frontline jobs across the UK as part of a strategy to reduce the number of branches as more and more customers use technology to do their banking. RBS is also reducing its branch network and increasing its digital credentials.